You are not the voice in your head. 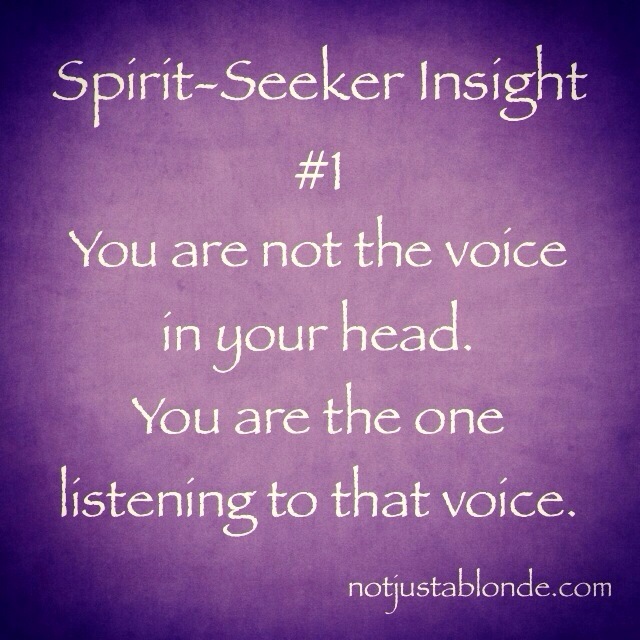 You are the one listening to that voice. This insight may seem insignificant or perhaps confusing to some, yet I believe understanding this truth holds the key to the discovery of our true selves and of God. We are not the chatter in our minds, yet often we get so absorbed by our own thoughts we forget we are the ones thinking. We begin to believe we ARE those thoughts! The truth is: the who of who we truly are never changes… no matter what we are thinking or what the circumstances are in our lives! This insight, when remembered and applied to our current awareness, can bring us closer to Peace. I believe God wants us each to remember we are human beings temporarily, but we are His children eternally! Remembering who we are sometimes is easier if we remember what we are not: We are not our thoughts. Who told you about the voices?